Call me old school, retro, and just a stubborn kind of fellow, but I flat love playing plain old Red Book CDs on a dedicated CD player. Through the years, I’ve auditioned and owned a few multiformat players — models capable of playing CDs, SACDs, and DVDs — but I’ve felt disappointed enough in their playback of CDs that I’ve always let them go. I have a library of approximately 2500 CDs, only about 20 SACD/CDs, and DVDs I spin via computer. So, what most matters to me is a unit’s playback of 16-bit/44.1kHz signals. And while I now also have a perfectly fine computer-DAC combo, CDs still sound to me more liquid and flowing and less sterile than files played from a computer. 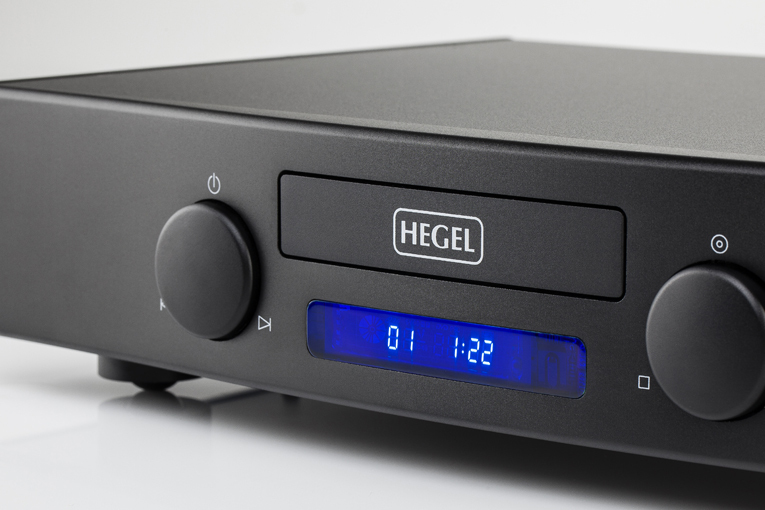 Founded in Norway in 1988, Hegel Music Systems is a small company with just six full-time employees. For many years, they mainly focused on developing various amplifier and digital technologies that they then licensed to other companies. In 2000, however, founder and chief designer Bent Holter bought out his partners, purchased the rights to Hegel’s technologies and patents, and began making Hegel-branded retail products. The Mohican is Holter’s first solo product in some time — the design is entirely his own. Ertzeid went on to explain that the main advantage of creating a dedicated CD instead of a multiformat player is that its digital clock can be optimized for 16/44.1, achieving far lower levels of the jitter that causes distortion. “Running native” in 16/44.1, as Ertzeid put it, results in other, smaller benefits over upsampling and also makes possible the use of digital filters fixed for 16/44.1 that otherwise couldn’t be used. Think of it as a fixed-blade hunting knife as opposed to a Leatherman multi-tool — it can’t do everything, but what it’s designed to do it does extremely well. The Mohican is fairly compact, about the size of a briefcase — 16.93”W x 3.14”H x 11.42”D — and weighs only 14.3 pounds, making it very easy to handle and place on a rack. At the center of its front panel are the CD drawer and, below it, a backlit digital display, these flanked by two silver-dollar-sized, multifunction buttons. On the rear panel are a three-pronged inlet for a power cord, a coaxial digital output, and pairs of balanced (XLR) and unbalanced (RCA) output jacks. The player sits on three hemispherical feet of compliant material secured in metal housings. My sample was finished in matte black; silver is available. After a while, though, I preferred controlling the Mohican via its remote, which is about the size of an eyeglass case and fits easily in the hand. It has several small plastic buttons: Play/Pause, Stop/Open/Close, Forward, Back, Repeat, Previous (Track), and Next (Track). It took me only a short while to get used to the various combinations of functions. 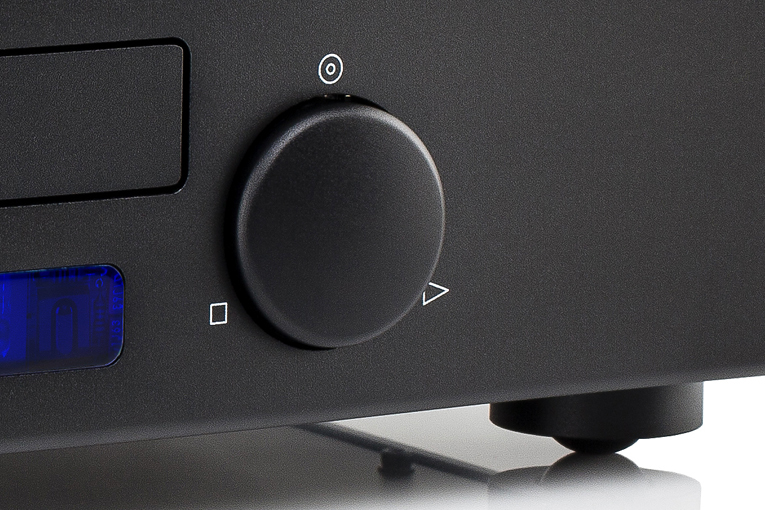 There are also buttons for (I assume) controlling a Hegel power amp and preamp: Volume Up/Down, Mute, and Balance. 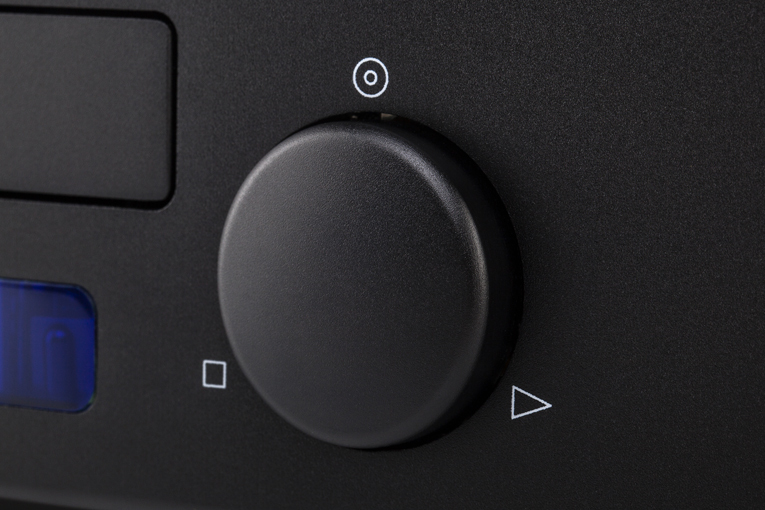 What the remote lacks are individual numeric buttons to quickly access any track. I had to keep pressing Next or Previous to navigate among tracks, while keeping an eye on the front-panel display to know which track I’d got to — a bit of tedium amid otherwise pleasing operation. The first thing that struck me about the Mohican was its extraordinary ability to reproduce music of rhythmic and tonal complexity. It excelled at timing, tonal textures and differentiation, and varied instrumental colors. To test this I played orchestral music, of course, but the Mohican was also terrific with rock, jazz, and vocal music. It got a blaring trumpet’s lustrous, brassy colors amid a welter of other horns and rhythm instruments. It got a horn section in variegated support of the percussive phlumpherings of a solo trombone. It got orchestral depth and layering, the subtle but critical dynamic tensions of string sections edging toward a climax, and quivering strings and burbling bassoons and brass fanfares in a large canvas of manifold instrumental textures. It rendered the delicacy of attacks of piano and vibraphone notes, their lingering decay trails like softly whipped aches of sound. In short, the Mohican was itself a superb musical instrument, rich and lush when the music called for it, producing saturated notes of weight and detailed textures — but also agile with rhythm and percussion instruments and great with the complicated soundfields of orchestral and big-band music. For instance, I played the title track of Frank Zappa’s The Grand Wazoo (CD, Rykodisc RCD 10517) and the Mohican really delivered. It’s a piece for big band: the standard rock trio (guitar, bass, and drums), plus six woodwinds, four brass, a Mini-Moog, and two percussionists playing xylophone, timbales, and a sackful of other rhythm instruments. If I wanted, I could pick out a cowbell, rattleclap, and claves rising and falling in the mix of insistent rhythms, the brew of percolating percussion. In terms of air, image, and textural separation among instruments, a mediocre or even good CD player can dynamically flatten this supremely articulate music until it sounds like an eccentric, baffling, often cacophonous noise understandable only when it feels roughly like the blues. Yet Zappa’s composition might owe as much to modernist composer Edgard Varèse as to any Southern archive of soul. The Hegel Mohican got all of this right — I was able to hear the horn section in all its varied tonal colors, Zappa’s Fender Stratocaster in his wah-wah solo clear against the tight rhythm section laying down a thumping groove, the rich and complex texture of Aynsley Dunbar’s drum and cymbal impacts, and the entire musical statement of a rock concerto that combines the funk of the blues with the grandeur and sweep of sonata-allegro form, a symphonic rhythm section, and bridge-like changes borrowed from soul. For years now, I’ve stuck with the same dedicated CD player — a Cary Audio 303/300 with both tubed and solid-state output and six different sampling rates (44.1, 96, 192, 384, 512, or 768kHz). In 2005, when the 303/300 was released, it retailed for $4000, or $1000 less than the Hegel — though in real dollars, the Cary’s price then might arguably be higher than the Mohican’s today. It uses what Cary calls its Resolution Enhancement DSP to provide five choices of upsampling rate, applied after the player’s circuitry first expands the CD’s 16 bits to 24. I tend to play it in 16/44.1, 24/384, or 24/768, depending on the music: the lower rates for rock and jazz, the higher for choral, opera, and classical. And the Cary is a behemoth, measuring 18″W x 4″H x 15″D and weighing 38 pounds — more than twice the weight of the much smaller Mohican. Though I bought my Cary in 2006, I’ve kept it because, compared to multiformat players, it sounds better with “Red Book” CDs. And although I now have a completely capable computer-DAC system, I dislike how every playback software I’ve tried manages to regularly misorder and shuffle tracks, or split the tracks of discrete albums into separate lists (which is another reason I still love to play CDs). 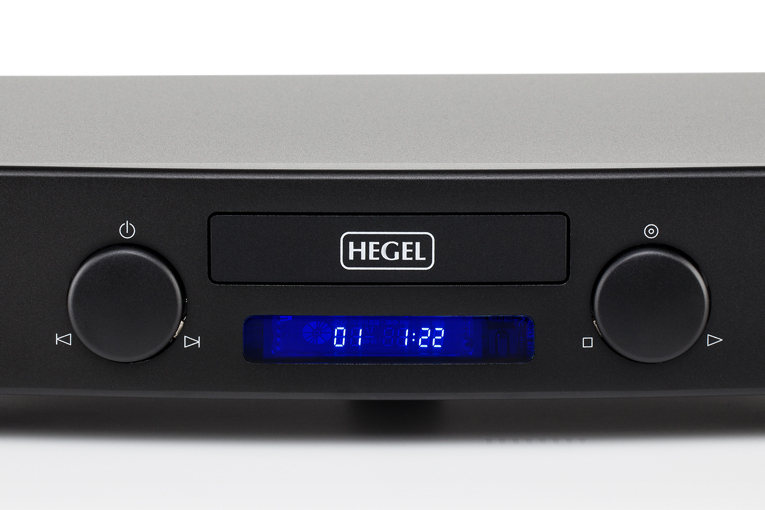 With most music, the Hegel Mohican sounded more liquid and flowing than the Cary 303/300, smoother and more natural. The Cary sounded a touch thinner with classical, but had more detail and sparkle and was capable of more definition in fine-grained tonal textures, such as those of violins. In the Allegro moderato of Vänskä-Minnesota’s recording of Sibelius’s Symphony No.3, the Mohican produced more gorgeous midrange tones, more overall sweetness, and quieter backgrounds than the 303/300 — which, though it sounded much less rich, presented a refined, more open string sound. The players’ were comparable, but the Mohican had better momentum, weight, soundstage depth, and a higher level of imagistic “realism” and dynamic contrasts. Though the Cary was no slouch at it, the Hegel was also more adept at sorting out the rhythmic complexity of Zappa’s “The Grand Wazoo.” The xylophone sounded tastier, more forward in the mix, and handheld percussion instruments rose out of otherwise cacophonous passages to thrill me with polyrhythms and syncopations and provide filigree around the beat. The music had more swagger through the Mohican than through the 303/300. With vocal music, though, the Cary was often clearer, with a finer top than the Hegel, and revealed more inner detail in the textural shadings in the recordings by Rolando Villazón, Emmylou Harris, and Rachel Price. With jazz, I preferred the Hegel, which provided more solid images, more colorful horns with more sock and squawk, finer colors, and more weight and push. The Mohican consistently swung harder with more punch.